In a captivatingly continuous set list, Jóhann Jóhannsson and the American Contemporary Music Ensemble (ACME) achieved a densely emotive experience through a live take on Jóhannsson’s new album Orphée. 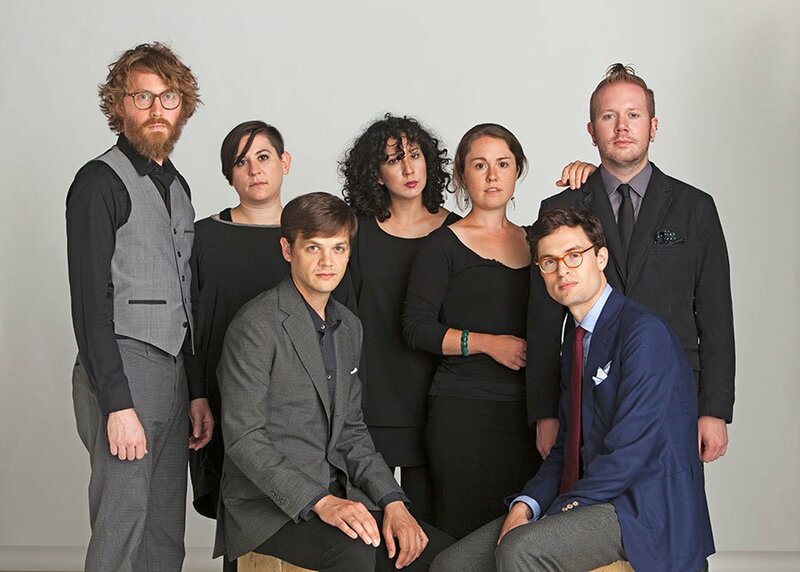 Set in the modest David Friend Recital Hall at Berklee School of Music on Friday, the amplified chamber music reverberated strongly. The Tree That Falls, a duo consisting of cellist Cristobal Cruz-Garcia and guitarist John Shafer, delivered a warm-up set. Working somewhere in the acoustic indie folk genre, this creative pair performed four songs, including a cover of “Twilight” by melancholic icon Elliot Smith, exploring the extended sonic capabilities of their respective instruments through more unorthodox means. The guitar and cello became cajóns, providing alternating rhythmic undercurrents, and the guitar became a dulcimer through technical finger hammering. Timbral warmth was assisted by unobtrusive reverb pedals. The form of the songs were organized through immediate textural changes and the alternation of melodic/accompaniment roles. The light banter of the duo worked in delaying the lengthy cathartic excursion which was to follow. 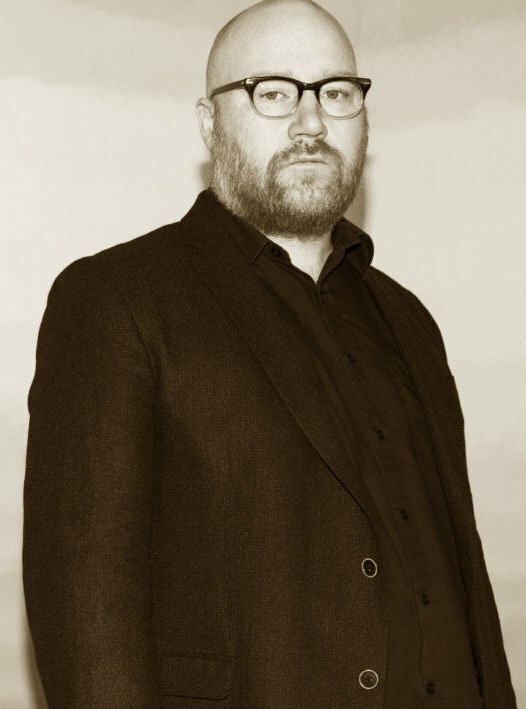 Jóhann Jóhannsson output connects various musical worlds, integrating electronic sounds and the synthetic into an acoustic foundation. Coming from the intriguing Icelandic music scene, which itself has found a way to avoid the common tendency to rigidly delineate genres, this Berlin-based composer grew roots in indie-rock, classical, jazz, and electronic genres. He has had successes in film scoring, cross-genre collaborations, and personal electro-acoustic projects: his recent score for The Theory of Everything (2015) won the Golden Globe for Best Original Score. He is an aesthetic descendent of Arvo Pärt, and in a similar vein, Olifur Arnalds, Max Richter, Nils Frahm, Winged Victory of the Sullen, and even the rock band Explosions in the Sky. Although the recorded instrumentation varied between pieces on the composer’s first release for Deutsche Grammophon, this live presentation of Orphée was rescored for two violins, a viola, two cellos, piano, reel-to-reel player, and electronics throughout. This concert was a part of a North American tour, where Jóhannsson, in collaboration with ACME, performed this album live. Although each piece was relatively short compared to most of Arvo Pärt’s and other minimalist process music of Reich and Glass, the entire set lasted over 90 minutes; temporality blurred through the gradual textural and dynamic swelling. To set the mood, Jóhannsson turned on the reel-to-reel player and quietly sat at the piano where he would direct the complete performance. A single stage light focused on this machine —a primary character in guiding the form of the concert. The rest of the hall, in dark anticipation, became slowly drawn in by a solitary tone. On the back curtain, various chalky-white graphics of animals and shapes arhythmically flickered to assist inducing in a dream-like state. Rather than charting the individual songs, I embraced the fluid meandering. The nine or so individual pieces shared many similarities of pacing, timbre, and repetitious gestures. Often starting with single drones, synthetic or acoustic or a combination of the two, the gradual layering of instruments with their suspensions and harmonic tensions built up to moments of climax and emotional release back to stasis and ambience. The repetition of the tape and synth accompaniment at times presented a backdrop for the acoustic voices and at other times incessantly competed with the strings. With sensitivity and patience, ACME embraced the rising action and larger sonic arc, following the guidance of the composer, who could lead ad libitum with a head-nod or use the grand piano as a strong, articulate bass pulse. Various colors emerged, such as when a cellist inserted piercing glockenspiel phrases or the violins transformed into a gritty, passionate force in response to increasing dynamics. As an ancillary element, Jóhannsson’s involvement with the tape provided fluxus-like interludes between the component parts. The composer moved between machine and piano with marked theatrical intentionality. Between many of the selections, Jóhannsson switched out tape reels like a meticulous professor in his personal studio; he would examine the roll, wind it up, and prepare the next recorded tape. As a kind of performance art, the flow of the concert avoided interruption and the resultant musical breaks gave the audience at least a moment to breath between draining episodes. Like the incorporation of the tape player, the addition of digital effects and synthetic sounds heightened the drama. One of the cellists, armed with a pedal-board, provided drones of various colors through the manipulation of her acoustic instrument. Jóhann also used a midi keyboard for ethereal and smoky accompaniment tones. The effects always seemed to accentuate or support the human momentum of the string section. The stated orphic theme encouraged the audience to incorporate their own narratives. Afterwards one of the performers, a frequent practitioner of the more complex contemporary classical and the avant-garde styles, told of the exceptional spiritual exhaustion of performing Jóhannsson’s music night after night. His efforts and the endurance of the others on stage and in the house is commendable. While this Jóhannsson experience may come across to some as simple, it is surely not simplistic; it delivered a powerful strike to this writer’s psyche.